Sarah Palin endorses Chris McDaniel in Mississippi, T.W. Shannon in Oklahoma, and Ben Sasse in Nebraska. 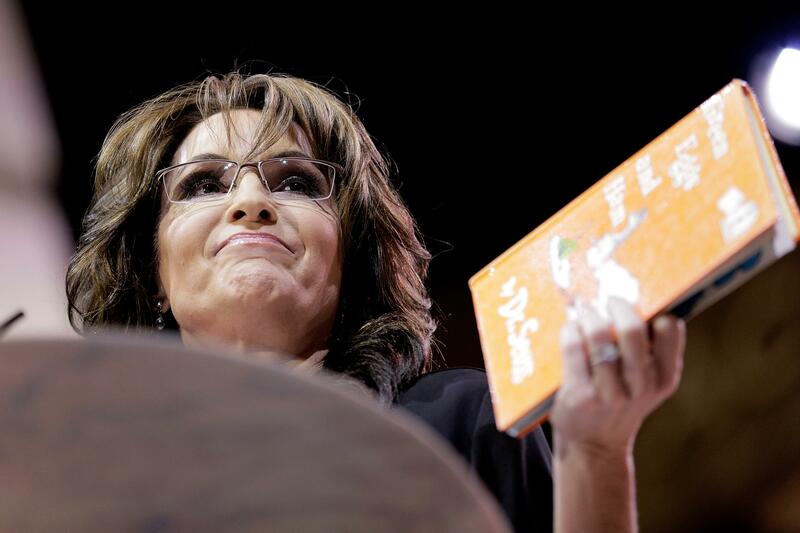 Sarah Palin has to do something to fill the hours that aren’t taken up by parody-Dr.-Seuss storytime at CPAC. It’s been eight years since she won an election, but the media must pay heed to Sarah Palin’s candidate endorsements. For starters, candidates desparately want them. Why? The media will cover them. It’s a sort of Möbius strip, but it’s what we have to work with. So many narratives are served by this process—the “Tea Party is costing Republicans the majority” narrative, the “Tea Party not dead” narrative, to name just two tropes. Today, on Facebook, Palin announced her backing of Chris McDaniel in Misssissippi’s Senate primary, T.W. Shannon in Oklahoma’s Senate primary, and Ben Sasse in Nebraska’s Senate primary. These represent a sort of evolution in the Palin Endorsement, the power of which depends on picking the right time to jump in and take credit. Sasse’s in a similar position to where Cruz was. He’s running for an open seat in a state where the Democrats can’t find a serious challenger. He started at the back—he’d never run for office before—and has surged to, at worst, a rising second place in a three-candidate field. The Club for Growth has started swinging for him. Now he’s Palin’s candidate, too. McDaniel’s a slightly riskier pick. He’s challenging Sen. Thad Cochran, so Palin’s putting herself against the Senate Republicans, insofar as anyone cares about that. He got into the race after the Club for Growth spent money on ads against the incumbent, in the hope (at first) that the guy would just retire. Polling’s been sparse and hard to read, but in the best Cochran poll the guy was up 23 points. T.W. Shannon’s not surging yet—Palin’s an early adopter in that race. But the Oklahoma contest, so far, pits a congressman who generally gets along with House leadership (Rep. James Lankford) against T.W. Shannon, the African-American speaker of the House. This is an easy choice—a 36-year old African-American in the Senate, someone from a safe red state who can serve for years or ascend to executive office. The Club for Growth hasn’t endorsed yet, but is expected to, and would be tasked with cutting away at a huge Lankford lead over a three-month campaign. That’s the field. Palin has chosen wisely, avoiding races where there’s no real infrastructure in place to create an upset win. Her only loser pick, so far this year, was of Tea Party activist Katrina Pierson in her congressional bid against Rep. Pete Sessions. But that felt like a box-checking exercise. If an insurgent is going to win, he needs the Club, Palin, and a few other groups in his cosmos.